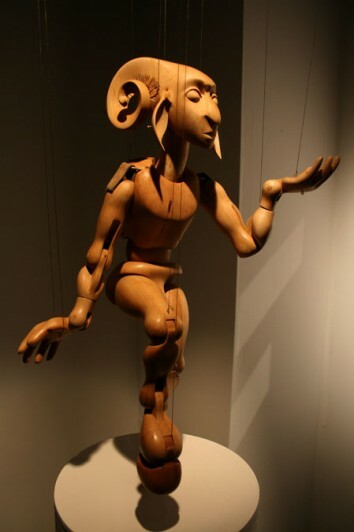 Itool was my first attempt at wood carving and marionette making. 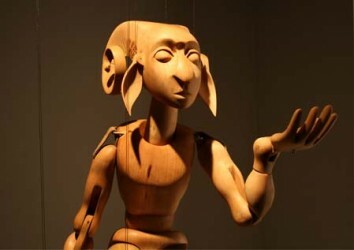 He stands at 500mm tall and is carved purely from lime wood. He was constructed in my third year at Wimbledon College of Art. Although power-tools provided easy solutions to most problems, much of the carving was done with good old fashioned hand tools. Although I am very pleased with how he turned out, being carved in Lime (for it’s attractive grain) resulted in him being too heavy to string without excessive hollowing out of all his parts. 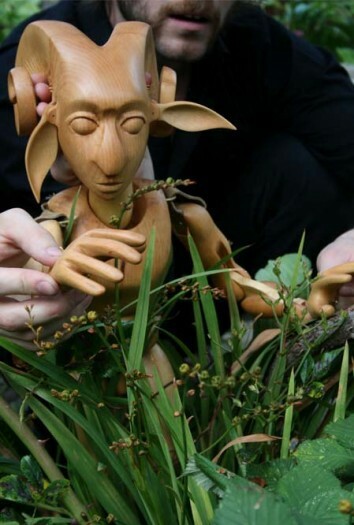 At the time, I didn’t know any puppeteers and he was left to gather dust until recently when Ben Thompson (Blind Summit’s Low Life, War Horse) and Iestyn Evens (of Talk To The Hand productions) worked their magic and brought him to life in this film assisted by James Turpin.